People prefer putting on perfumes regularly and for parties. Cosmetic perfumes are mixtures of essential oils, aroma compounds and solvents that spread fragrance. Perfumes are available in variety of concentration and types. Usually the perfumes for men are stronger than those meant for women. Perfumes on a well-dressed man, with a tinge of glamour can add wonder to his appearance. Branded perfumes are usually given as gifts on occasions like birthdays, wedding, anniversaries, Valentine's Day, New Year and festivals like diwali. Also in corporate organizations, employees are often acclaimed with branded perfumes. Perfumes are also used for promotional purposes. There are huge number of perfumes and their brands found in both Indian and International market. But it should be kept in mind that you should choose the right fragrance that suits you and your personality. Men are now getting very conscious about their looks and appearances and as a matter of fact they have grown an inclination of buying branded perfumes to give a tinge of glamour to their style. 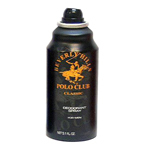 Beverly Hills Polo Club (BHPC) Perfumes could be one of your choice. 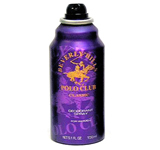 All types of Beverly Hills Polo Club (BHPC) Perfumes are available at ExalonPromotion.com, be it Classic, Sport, Colors etc. These Deo's & Perfumes of Beverly Hills Polo Club are also available starting from ` 199/- per gift set.